James Arthur Haslam III was born on the 9th March 1954, in Knoxville, Tennessee, USA. He is a businessman, who is probably best recognized for being the CEO and President of Pilot Flying J, a truck shop chain which was founded by his father. He is also widely recognized as the owner of the Cleveland Browns of the National Football League (NFL). James has been an active member of the business industry since 1974. So, have you ever wondered how rich Jimmy Haslam is? It has been estimated by authoritative sources that Haslam counts his net worth at the impressive amount of $3 billion, as of mid- 2016. Obviously, he has been accumulating the overall size of his net worth being active in the business industry as a businessman and owner of a football team in the NFL. 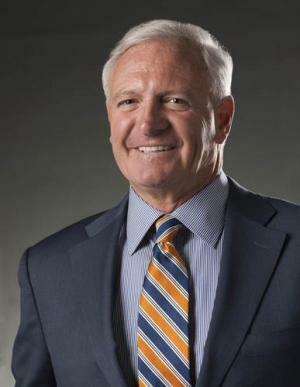 Jimmy Haslam spent his childhood with two siblings in his hometown, raised by parents James Haslam II, who was the founder of the Pilot Flying J Company as the Pilot Corporation Oil, and Cynthia Allen Haslam; his brother is Bill Haslam, a politician who currently serves as the Governor of Tennessee. After matriculation, he became a student at the University of Tennessee, where he was a member of the Sigma Chi fraternity. Jimmy’s career began in 1975 when he joined the Pilot Flying J, a family company based in Knoxville, Tennessee; however, he had to build his reputation, and after five long years, he became the vice president of sales, development and operations. Little by little, under his management the company began to expand, to around 100 stores by 1996. Other than that, the company opened its own travel center named Pilot Travel Center. Furthermore, in the same year Jimmy was appointed as its president and CEO, a position he still holds, and which increases his net worth steadily. The company is currently the 11th largest private company in the USA, with over 24,000 employees. During his management tenure, the company has grown immensely, with profits now over $1 billion. Over the years, it merged with similar companies, increasing its worth and expanding the area of business. Jimmy also owns the NFL team the Cleveland Browns, as he bought the franchise in August of 2012 for $977 million. The success of the team has also increased his net worth by a large margin. Thanks to his successful career, Jimmy has received numerous prestigious awards, including the Significant Sig Award from the Sigma Chi Foundation, Ernst & Young Entrepreneur of the Year Award in 2010, and College of Business Administration’s Distinguished Alumni Award, given by the University Of Tennessee in 2011. When it comes to speak about his personal life, Jimmy Haslam has been married to Susan “Dee” Bagwell Haslam since 1976 – who works as the CEO of RIVR Media – with whom he has three children. His residence is still in Knoxville, Tennessee. Jimmy is also known as a huge philanthropist, who has donated over $100,000 to his alma mater among many other contributions.